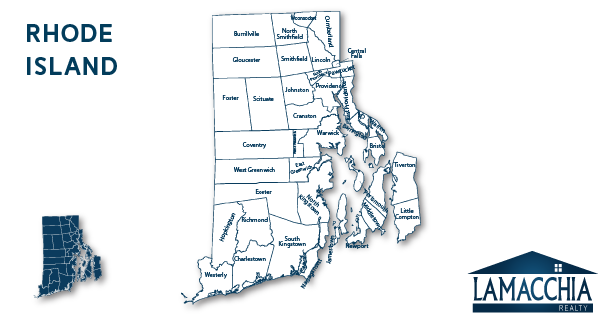 Lamacchia Realty, Inc. is happy to provide services to Rhode Island. Our growing team of agents now includes Realtors with local knowledge of the state of Rhode Island. With beloved areas such as Federal Hill in Providence and coastal Newport, Rhode Island also is home to T.F. Green Airport, Brown University, University of Rhode Island and other known higher education institutions. The map above shows a rough estimate of Lamacchia Realty’s service area. For more information about Lamacchia Realty please feel free to give us a call 855-510-7653.